Twenty-five years as an Protestant/Evangelical Christian and engaged in the intellectual and cultural arenas of those years prompts some personal observations at this moment in time concerning the direction of this nation. The re-election of George Bush and the election season just past, the Presidential inauguration culminates a season that has seen the American nation encountering some of the worst social changes and cultural divisions in historical memory. Once gaining access to the Internet (which I have labeled the Christian catacombs of the new "Rome") in the eve of the nineties and corresponding with Christians nationwide from a myriad array of backgrounds and life experiences, this opened doors of understanding and opportunities to discern some needed course corrections in the world view of the Protestant/Evangelical community, the "Spirit-filled Church." 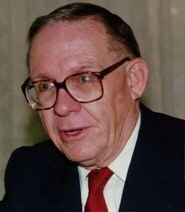 The moral malaise of the Clinton days, along with the Y2K challenge and Millennium fever, certainly were problems that had an impact on the fear and apprehension of those times; the political turmoil surrounding the Florida recount in the 2000 Presidential elections was more external evidence of a nation facing profound internal difficulties. Then that fateful day, that extraordinary day, on September 11, when the nation came under attack by Islamic extremists. This nation found herself coming face to face with the repercussions of her apathy and carelessness as ruthless individuals with a sixth century totalitarian mindset attacked the most powerful nation in the recorded annals of manand the Spirit-filled Church in America began to engage in some serious self-reflection. The Lord was gracious to this nation yet again that we had people in national leadership with the guts and courage to at long last dispatch our excellent military into the global arena to oppose these killers, yet now, as global radical Islam is reeling on its heels under the effective onslaught of our patriot military, this critical juncture in our history demands the fruits of that post 9/11self-reflection call for further exploration. An out of the blue email containing the WorldNetDaily article reviewing John W. Chalfants book, AMERICA - A Call To Greatness,[ISBN: 1594670919] which I hurriedly purchased, was a profound read. His short manuscript was a reinforcement of many personal conclusions because he summarizes completely and mirrors thoroughly my own eye-witness in studying the countless moral and cultural problems facing the American nation and the response of the national Protestant Christian community to it. As one has said, As goes the Church, so goes the nation, thus, Chalfant specifically homes in on the Church leadership and the Abandonment Theologians and clergy and their leadership mistakes in recent past. A decades long overuse of eschatology (the study of future events), biblical prophecy and signs of the times did generate fatalism and despair with an attitude of "Why bother impacting the culture?" and an abdication of our civic duty, among other errors. This long desertion of the political sphere of the cultural arena had left the door wide open, for a whole generation, for elements in society openly hostile to Biblical Christianity to advance their socially destructive agenda. Yet, Chalfant's book comes at a time of great, foundational changes in American culture and is a front line commentary on a burgeoning movement already underway. As the collapsing, morally rotted corpses of the historical mainstream denominations disgorge the fleeing thousands of dissatisfied souls weary with the compromise and corruption plaguing institutional Christendom and its ineffectual impact on our culture, the rise of the Christian Evangelical free mega churches with their extensive media reach and resources is a Spirit led vanguard of a new dynamic work in America that is even now penetrating all aspects of the national civic life. Indeed, the reality of this escalating movement is evidenced, from Senior Pastor Greg Laurie of Harvest Christian Fellowship in Riverside, California, leading the nation in prayer at the 2004 Republican National Convention, to nationally syndicated liberal columnists denigrating Evangelicals' support of Bush, employing the slur "Jesusland" and "Jihad Jesus Christians" to show their disdain in describing the red states which Bush won in the much publicized national electoral maps. I still recall laughing out loud when I first saw that term used in an op/ed column. The implications of the term illustrate the magnitude and real impact of this work. It continues to be amusing to read the continued commentary by secular thinkers and elitist media talking heads to this historical response to the 2004 Presidential electionseven from thinkers within the Republican party. The huge turnout by Evangelical voters is being desperately marginalized and explained away by many intellectual elitists as they try to contend with what is happening out in the "red states" of this nation; still desperately trying to mold public opinion, even as what has become known as the MSM (Main Stream Media) is also dying an inevitable death after repulsing a heretofore ignored, disaffected following that is turning more and more to alternative online and cable news sources that are free of the decades long PC liberal slant so famously represented in the CBS "MemoGate" fiasco. Just like what is happening within the dying traditional denominations of contemporary American Christendom. "... 'Abandonment Theologians' would have us believe that Americas fall is irreversible. They claim we are living in the end times, and the last days, and that resistance is futile. Some say the sooner we fall, the better. We will get to heaven that much sooner. Such a position means surrendering our freedoms by default. This is in stark disobedience to the will and directives of God. Who authorized the clergy to put His return on our timetable rather than wait for His? The decision as to whether America collapses or undergoes a miraculous recovery is Gods decision, not ours, and will be in response to our prayers and actions. The scriptures clearly reveal the evil, enslaving spiritual war that is waged relentlessly against us and how we can prevail and triumph over it...."
I predict Mr. Chalfant will have a swiftly growing audience. Indeed, a huge swath of contemporary thirty and forty-something Evangelical Christians who came of spiritual age during the years of the organized prophecy movement and living in an escapist disengagement from an ever increasing corrupt culture around them, changes first founded in the leftist revolution of the 60s and unopposed then by the then nominal Spirit-filled Church, have now come to the stark realization, as their teenagers soon will face that world, the decisions they make today concerning the future of this nation will directly impact their children. Hey, Jesus was going to come back in the 80s, and certainly the 90s, so, why worry? 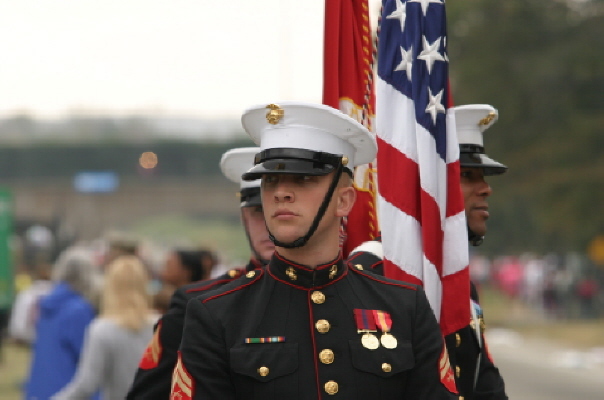 Now, some already have sons and daughters serving in the military overseas in the campaign against militant Islam. Thus, much of the foundation of the sense of urgency that swept the Evangelical Christian community leading up to the election; the urgency which gripped the Spirit-filled Church in the wake of the terrorist attacks on the American homeland. The opposing political parties today both represent and hold starkly different world views and philosophies pertaining to the American nation and her future and security. No way can these kids, dying in Iraq defending this nation against terrorists from a numerous array of hostile foreign nations gathered there as we answer their call for Jihad, be dying in vain. Yet, they are not dying in vain. 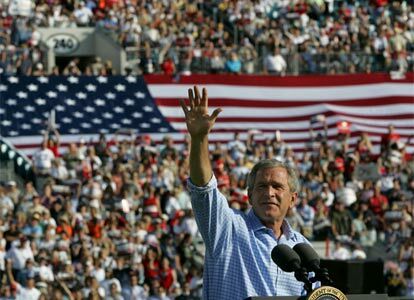 Turmoils without, troubles within; still, President George Bush is certainly not our messiah, nor the political party he operates within a stellar paragon of Christian virtues. No mere man or Presidential Administration can be. 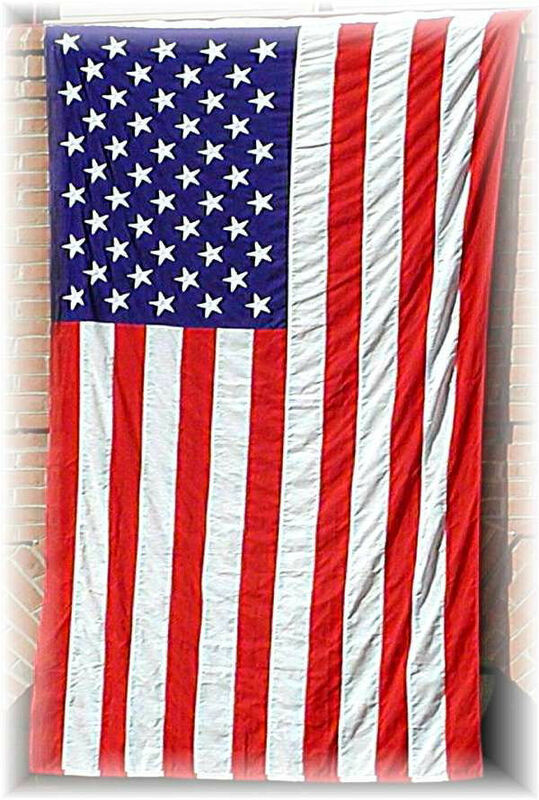 This nation is divided and at war because the Spirit-filled Church in America is divided, and there is nothing president Bush can do about it. That is the Clergys duty, amongst many other areas of rightful responsibility the Church has allowed to be abrogated by secular/humanist government. John Adams, Second President of the United States said, "It is the duty of the clergy to accommodate their discourses to the times, to preach against such sins as are most prevalent, and recommend such virtues as are most wanted." It is an axiom that culture is religion externalized, and made specific; the Biblical ideas of liberty and individual freedom the American nation was founded on clearly superior to the failed religion of secular humanist/Socialist and Post-modernist ideas which have penetrated and weakened our culture. Americas unity and salvation rests solidly in her Christian pulpits, and today the Evangelical Christian community has taken the initiative and has the point in impacting the culture around us to that end. It was Charles G. Finney who said, "Anything that will unite the Church and consolidate her efforts, and wisely direct them will correct the national morals, and nothing else can." Still, a new Bush term, within the framework of current national and global events and in the bounds of established national cultural institutions, offers Evangelical Christianity a historic opportunity to continue to be the vehicle for the Holy Spirit's campaign to see the American nation stop her moral free fall and descent into obscurity and irrelevance, by retaking ground surrendered unreservedly over many decades. 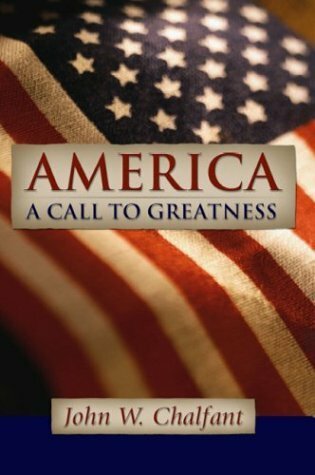 I strongly urge the reader to acquire Mr. Chalfants "AMERICA - A Call To Greatness." It lays out the framework and map that key leaders in this wider community are already taking, and should be read by any who has a heart for the American nationand then promptly given to their senior Pastor and church leadership. The national Church leadershipand consequently, this nation, needs to go this way. This writer and his family are extremely fortunate and blessed to be able to attend Harvest Christian Fellowship in Riverside, one Evangelical organization that is having a major national and global impact by modeling on the point leadership and audaciously engaging the American culture on many fronts in the arena of ideasemploying the same ideas Mr. Chalfant chronicles in his book. Is a genuine revival afoot, modeling previous ones in American history? It would be pointless to try and reason with the cynics and the critics, the Jonah types who will pout outside the walls of the American Ninevah. Rather, those who understand the times and having eyes that see, will be the ones exploiting the opportunities a second Bush term presentsone being suppressed fierce opposition from modern day liberalismto inspire the national Christian church leadership to courage, to caliber leadership, and to return this nations consciousness to her Godly foundations. America will follow. The Bush inauguration on January 20, 2005, thus initiates a short four year window of opportunity for the Spirit-filled Church in America to see this ongoing work of restoration in American culture to continue unabated. The way the leadership in American Christianity responds to this opportunity will decide whether our future lies in a continuing ineffectual spiritual malaise and impotency, resulting in the sure break-up and destruction of this nation ... Or if we will see a new American rewakening. Clergy, Court, Linked to Moral Decline. All personal commentary articles copyright © 1996-2010 Salem The Soldier's Homepage. Full reprint with written permission only, except for the inclusion of brief quotations in a review or article. This material is copyrighted to prevent altering or reproducing for profit. Permission is granted to the reader to forward all writings from "Salem the Soldier's Homepage/Michael A. Baker," without altering, to friends, groups or other ministries or to copy for similar or personal use.